World most expensive goalkeeper Alisson started his Liverpool career with a clean sheet as Klopp's men thrashed Napoli 5-0 in a pre-season friendly in Dublin. James Milner, Georginio Winjnaldum, Mohamed Salah, Daniel Sturridge and Alberto Moreno were the scorers for the Reds as they cruise to victory over Ancelotti's led side. 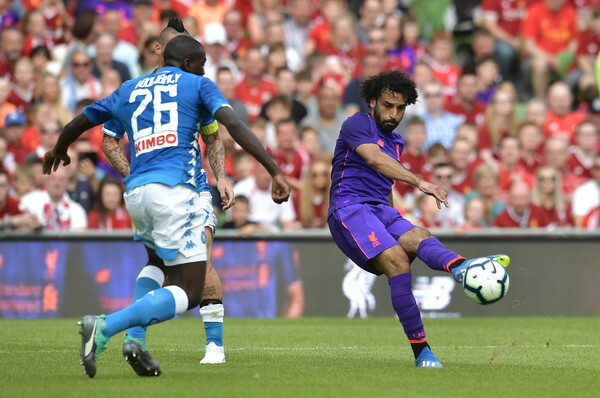 Alisson did not have much to do in the match as Liverpool kept their Italian opponent quiet for most of the match, the Brazillian shot-stopper was only threatened once as he saved Lorenzo Insigne's first-half attempt. James Milner had to leave the pitch after a clash of heads with Mario Rui. The Liverpool Medical team had to stitch his the resulting cut 15 times in what coach Jurgen Klopp described as a "crazy cut". Liverpool's next match is against another Italian club Torino at Anfield on Tuesday before they kick-off their Premier League campaign at home to West Ham on Sunday, August 12.